It is not easy being the mother or father of an adorable dog, who loves you with all of his being. Owning a dog can be tough for both new and experienced people.. So here is a huge list of some clever tips and tricks for your dog parenting needs, to make it so much more easier. Your life will never be this easy ever again. You love your dog and no one knows it better than us. Hopefully, these tips and tricks will be helpful in making life better and easier for you and your friend..
Have an extra kitchen drawer? 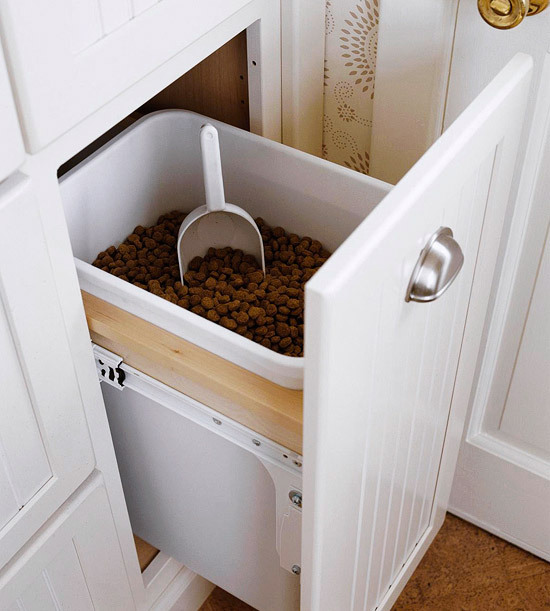 Use it as a dog food holder.